In case you missed it, there has been a culture shift when it comes to learning and overall assimilation of information in the corporate world. Traditional learning has become too mundane for minds that are now accustomed to instant gratification from high-speed internet and social media. Microlearning has been well-embraced by learners and business leaders. If we’re going to train the modern workforce effectively, we need to let out the old and embrace the new. When was the last time you needed to solve a little problem and you grabbed a whole 500-page book on it? Admit it, life has gotten a little too fast-paced for that and the workplace is constantly changing. Microlearning is a single-objective learning asset that can be accessed on its own. Borrowing from the marketing world can help us in L&D to think broad – microlearning is also in every Facebook post, blog post, did-you-know-it post, video, podcast, meme, slideshow, FAQ you encounter daily. It is a working concept of presenting pertinent information in small bits that are easily assimilated by learners instead of overwhelming with extensive study materials. Information is usually focused and in context to the learner’s question or challenge. An effective way to keep employees current and constantly brushing up their skills is to use microlearning in learning and development. Employers can save time and resources that would have been pumped into hiring instructors and setting up sessions for every new skill employee. It is easy to develop. There are so many microlearning tools we already use: video tools, graphics tools, slideshow tools, rapid authoring tools for eLearning etc. We can apply sound instructional design principles to help others tackle a work problem in a way that’s easier to create than traditional training. It is easy to access. Microlearning is ideally easily accessible. Yes, this means that if it’s buried under seven sign-ons in your LMS, the concept of “timely help” is lost. Borrowing from the marketing world, imagine how microlearning could be easy to access. In marketing, I’ve seen public message/safety campaigns even on the sides of buses and on boxes of cereal! 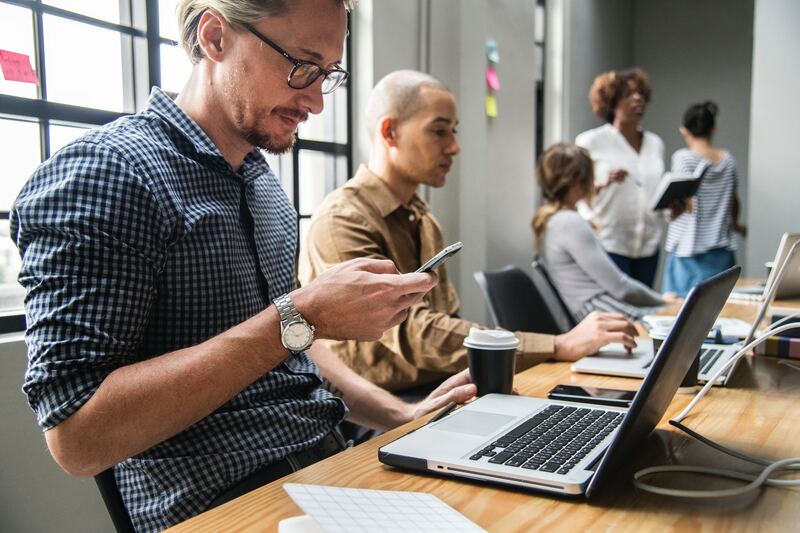 For L&D, most likely microlearning is on any of your everyday devices like your tablets, smartphones, and laptops at home, on your commute or in the office. It is more easily updated. Because the learning experience is shorter, there’s less overhaul of information than in a large curriculum. Also, because of how easy it is to develop, updating information to stay with changing trends and innovation is often easier than in a traditional eLearning program. It is cost-effective. Microlearning does not constantly call for instructors or classroom sessions which can be costly, not when relevant information can be pulled up in minutes. Creating this form of training which can be easily recycled and repurposed for other courses and curriculum provides time and cost-saving benefits. Microlearning offers instant access to solutions and fosters an on-going learning habit in those who indulge. Instead of long-form course materials that exhaust training capital, learners can use single-focused topics in a couple of minutes to solve real-world problems. Embracing this concept is important for employers and employees alike to constantly up-skill for continued job relevancy and the future of learning and development.